Every one in the world speaks one of four iMA dialects, putting her/him on the same wavelength as 25% of the world’s population. The majority of people, many of whom are important to your success, are on a different wavelength than you. Accredited iMA Practitioners can teach you the things you need to know to connect with people at every level of your life. Learn iMA principles, fundamentals and concepts and develop a skill that will change your life for the better. 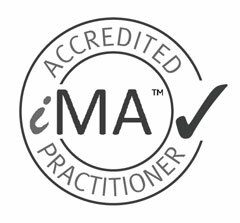 Gain knowledge and develop skills, become an Accredited iMA Practitioner.